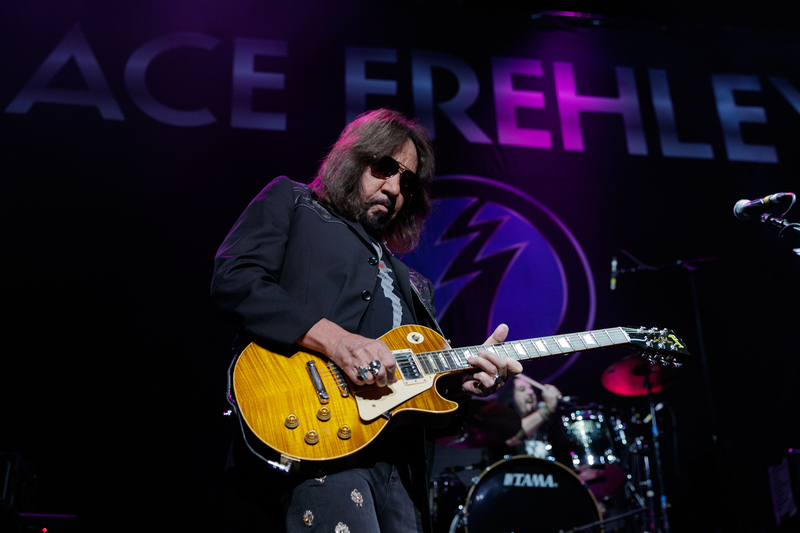 Ace Frehley and his band kicked off the evening with a bang, effortlessly teasing the crowd to fever pitch in their 60-minute-long performance. With a high-energy set comprised solely of KISS classics, the metal superstar was a perfect fit for Cooper’s support slot. The highlight of the performance was a commanding version of ‘Shock Me’ followed by a screeching guitar solo, where Frehley treated the audience to his iconic smoking guitar trick. After coolly swapping to his favoured Les Paul, Frehley launched into the explosive ‘Detroit Rock City’ before capping his set with a driving rendition of ‘Deuce’. While audience banter was kept to a minimum, Frehley’s larger-than-life stage presence made up for what was not said. His gutsy, belting vocals remain strong as ever, reinforced by the tight mastery of his band. The decision to move Cooper’s show from Margaret Court Arena to its larger counterpart Rod Laver earlier this year was a good one; with barely an empty seat in the house. Fans young and old chattered excitedly in anticipation as they awaited the rock god’s arrival. As he entered the stage to the beefy opening chords of ‘Brutal Planet’, Cooper dramatically whipped off a floor-length black cape before propelling into song. At 69 years old, the man’s stage presence is formidable. The singer owns the space with the vigour of a younger artist while his confidence stands testament to his unparalleled expertise as a performer. Parading around on a podium while authoritatively twirling a baton, Cooper’s magnetism was felt throughout the entire venue. The set list was heavy on Cooper’s hits, with audiences going wild during songs including ‘No More Mr. Nice Guy’, ‘Poison’, ‘Feed My Frankenstein’ and ‘Cold Ethyl’. His five-piece band worked to breathe new life into the classic tracks while having free reign to solo and show off their chops. Special mention must be given to powerhouse guitarist Nita Strauss, whose infectious charisma was on par with her virtuosity. A pioneer of shock rock, Cooper and his entourage didn’t let the audience down. 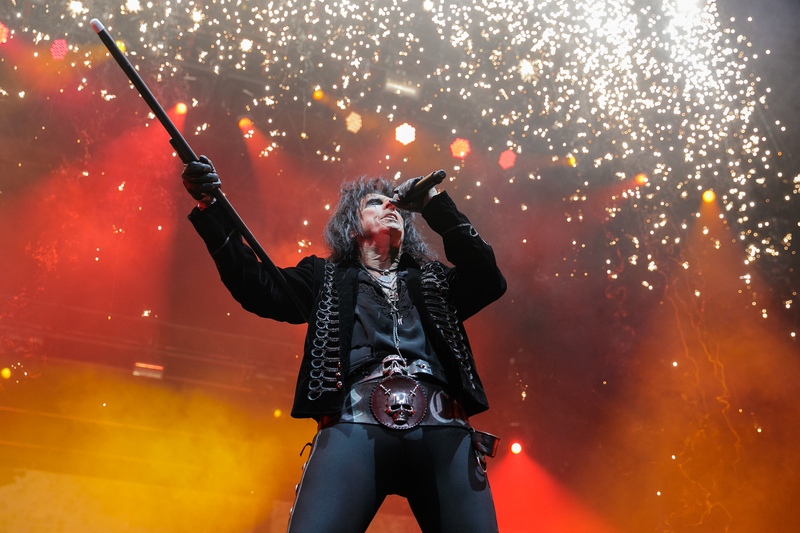 The band made hefty use of dazzling pyrotechnics; regular costume changes; and the usual slew of horror movie props, including rapiers, creepy toys dotted about onstage, a hulking Frankenstein’s monster and the famed guillotine. The evening concluded on a euphoric note as Cooper powered through ‘School’s Out’, featuring a homage to ‘Another Brick In The Wall’. 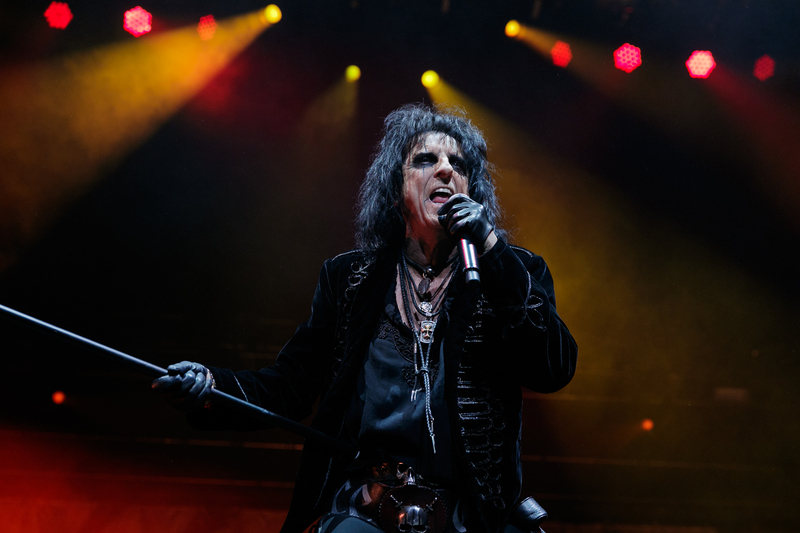 The performance served as a nail in the coffin to the idea that Cooper’s career is on the decline: fifty years on, and The Godfather of Shock Rock is as exuberant as ever. Get the JB Hi-Fi 2CD special edition here. Get the JB Hi-Fi 2CD and t-shirt limited deluxe box set edition here. Get the JB Hi-Fi 2LP 180gm vinyl here.